Schools reopened in Sierra Leone in September, and as we are supporting 50 orphans and 4 Ebola survivors as a result of the Ebola crisis it was a busy time for SLWT, more of that later on in this newsletter. SLWT also continues to support 60 talented but underprivileged girls in secondary schools, as part of our FAWE scholarship support programme, to ensure that they have the opportunity to fulfill their potential. November 7th 2016 will mark the 1st anniversary of the end of the Ebola outbreak declaration in Sierra Leone. SLWT plans to mark this with a series of events and to launch a fund raising campaign, The Hope For Tomorrow appeal, which allows you to join in with your own individual fundraising event. Also in September, Andrew Hatzis, a volunteer sponsored by his company CEB, spent a week with SLWT in Sierra Leone helping with building our local capacity. In this edition of the newsletter we will update you on these events and also show you how you can support SLWT simply by shopping online! Lastly SLWT would like a volunteer to be our digital content manager. The role will involve working on our digital strategy, making sure that the content on our website is up to date, updated in a timely manner, working and that our digital output is coordinated. Please contact us at info@slwt.org if you are interested. We thank you, once again, for your continued support. Long may that continue! 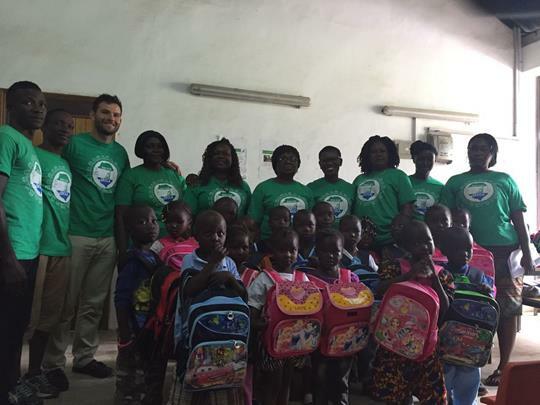 On the 24th of September 2016, learning materials, uniforms and shoes were distributed to the 50 Ebola orphans and the 4 Ebola survivors supported by the Hope For Tomorrow Programme. The rucksacks contained exercise books and pencils. The children had also been previously fitted for shoes and were given these together with a pair of socks. 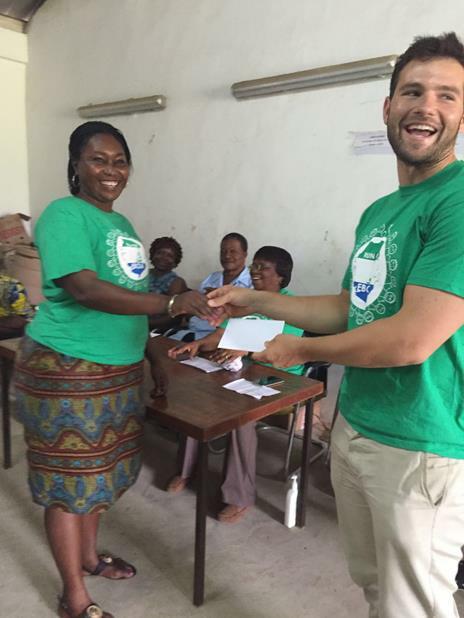 The exercise was overseen by the Project Manager, Mrs Marion Morgan, ably assisted by Ms Mabinty Kamara, the Project Coordinator and other local staff and volunteers, including Andrew Hatzis from CEB Global. Two of our trustees, Trudy Morgan and Yvonne Aki-Sawyerr were also present and had the opportunity to encourage the children and their caregivers. It was a fun event and the children had an enjoyable time. Along with a series of events to mark the 1st anniversary of the end of the Ebola outbreak declaration in Sierra Leone, SLWT is launching its Hope For Tomorrow appeal. This campaign will raise funds to support the orphans that SLWT has committed to care for until they finish school. We would like to encourage you to either donate to our fund or create your own fundraising event for SLWT. We would therefore like to declare 'November for SLWT ' where we would encourage you to raise funds on our behalf. To this end, 3 SLWT trustees, Yvonne Aki-Sawyerr, Trudy Morgan and Renee Horton-Spring will be taking part in a 5Km event in Sierra Leone on the 7th of November to raise funds for SLWT. 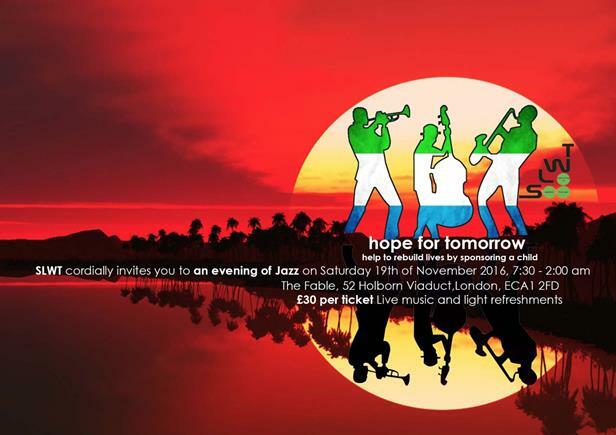 SLWT will be holding one of our fabulous evenings on Saturday 19th November 2016 at The Fable,52 Holborn Viaduct,London, ECA1 2FD. At this event, SLWT will also launch its Sponsor-A-Child program. We currently support 50 children who became orphans as a result of the Ebola crisis. A donation of £25 a month would all go directly to looking after that child's needs. Featuring musically will be Singology and De Champ & Co.
Andrew spent a week with SLWT in Waterloo, getting to meet our staff and volunteers. He photographed each of the 54 children that SLWT is currently supporting to help promote our sponsor-a-child programme to be launched at our Jazz event on the 19th of November 2016. Andrew also helped to organise and participated in the back-to-school distribution event, already mentioned above, held at the end of his week’s stay. In fact, he literally left that event to go to the airport. He got to meet all the children and their caregivers and certainly made a lot of new friends. SLWT would like to thank CEB Global for their support and Andrew’s account of his trip will be in our next newsletter and on our website when it’s published. Let's say you want to buy a pair of shoes from John Lewis. 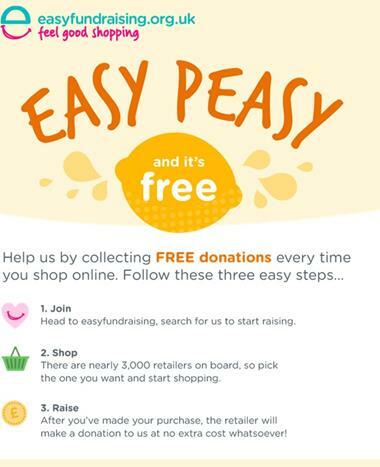 Instead of going to johnlewis.com directly, you first go to easyfundraising.org.uk. add info@slwt.org to your address book. Did you receive this email from a friend? Sign up today to hear about the latest SLWT news and events. If your details are incorrect, please update your subscription details. If you do not wish to be contacted by Sierra Leone War Trust in the future, please unsubscribe to be removed from further communications. Please note this may take up to 28 days to take effect.